Old Laurentian Mini & Juniors are a Wasps Community Affiliate Club. DO NOT use the normal Wasps Online Ticket Office link (www.eticketing.co.uk/wasps). It will NEVER recognise the Club. Always remember to LOGIN BEFORE you purchase your tickets otherwise your Club Cash-Back qualification will not be recognised. 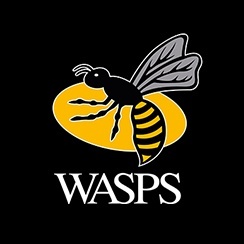 If you have never purchased tickets for a Wasps fixture or have never created a Wasps Online Account, do this before you purchase your tickets otherwise your discount will not be recognised. Check that you are logged in. A “Thank you” message should pop up recognising you. Go to the game you want tickets for and click on the Block you want to sit in. Choose the seat(s) you want – available seats will display as green. Once chosen, click on the Price Class box and select your price class (adult/senior/junior etc) for that seat.